Aawaass Buildcon Pvt. Ltd. is a real estate company specializing in residential properties ( Bungalows, Apartments and Plotting) in India. After the success in the Mumbai real estate industry we have printed our footprints in Gujarat. Our real estate projects have earned us incredible experience, heaps of accolades and the valuable trust of many customers. Our successfully executed Residential projects and ones that are in the pipeline have made us a strong contender in the real estate industry to reach the pinnacle. 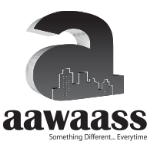 Since its inception, the aawaass Buildcon Pvt Ltd. has moved from strength to strength and achieved remarkable growth. The spectacular rise of the company can be attributed to the foresight and leadership qualities of its directors, and increasing trust of its customers in the company.